When it comes to the holidays, there are always celebrations taking place. Memorial Day is no different, with people from around the country remembering the fallen heroes of the United States Military. Common Memorial Day celebrations include flying flags at half-staff until noon, placing American flags at each gravestone in military cemeteries, and by taking a moment of silence at 3:00 PM as a symbol of remembrance. Many people celebrate by getting together with family, attending parades or visiting cemeteries or memorials. Let’s take a quick look at some of the largest Memorial Day celebrations in the United States. While some of these events may not be exclusively celebrating Memorial Day, they are held annually over the holiday weekend and have strong historical ties to Memorial Day. While Ironton, Ohio claims that they have the oldest Memorial Day parade, the National Memorial Day Parade is the most famous. The event was just created in 2005, but it has already gained worldwide recognition. Held annually in Washington D.C., the parade is televised to troops stationed around the world. The parade passes by many of the nation’s most famous buildings, monuments and museums. 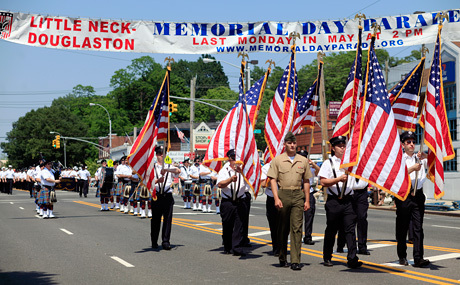 While the National Memorial Day Parade is certainly the most famous, the Little Neck-Douglaston Memorial Day Parade is known as the largest. The parade has been running annually on Memorial Day for 88 years. The parade takes place in Queens, New York – rain or shine. Memorial Day weekend is also a big weekend for sports as you will see here. It all begins on Thursday with the Memorial Golf Tournament. The tournament is held annually at the Muirfield Village Golf Club in Dublin, Ohio. The course was designed by golf legend, Jack Nicklaus. It is one of the most exclusive golf tournaments of the year as only the top 75 players from the previous year receive invites to play. 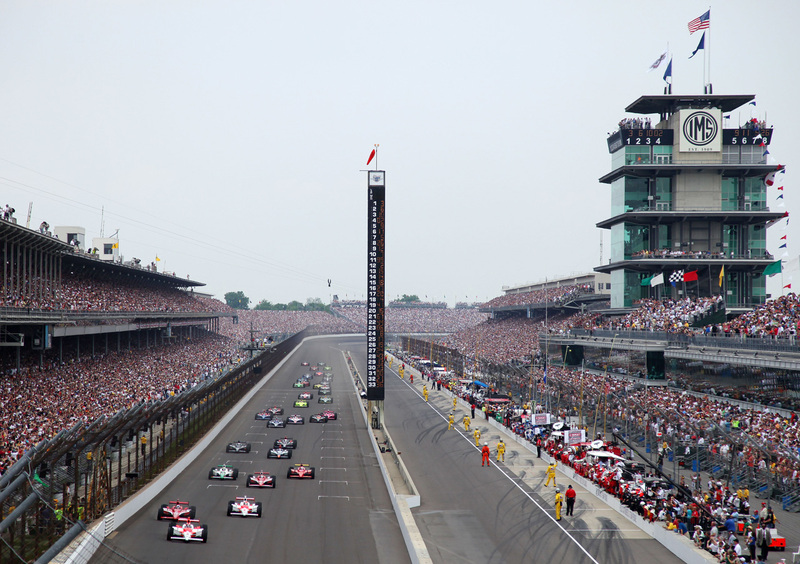 The Indianapolis 500 race is one of the most famous sporting events in the world. The race has been referred to as “The Greatest Spectacle in Racing”. It is held annually in Indianapolis, Indiana at the Indianapolis Motor Speedway. The event always takes place over Memorial Day weekend – typically the Sunday before. The Coca-Cola 600 is NASCAR’s longest race of the year. The race is held annually over Memorial Day weekend in Charlotte, North Carolina at the Charlotte Motor Speedway. It is one of the most unique racing events because the race begins in the evening when there is still light, but ends under the lights at night.